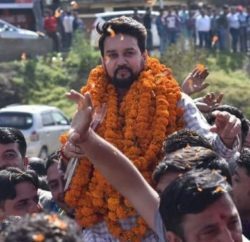 Himachal Pradesh Cricket Association (HPCA) president and Hamirpur MP Anurag Thakur has termed the move of state Govt against HPCA as a political vendetta. While talking to the press at Chintpurni, Thakur denied any irregulation and favoritism by the previous BJP Govt to HPCA for building Hotels and other necessary infrastructure nearby Cricket stadium. He termed the recent decision of state government, in which Govt has charge-sheeted two senior IAS officers in a case involving land allotment and change of land use for building an ultra-luxurious residential complex ‘The Pavilion’ for players near the cricket stadium, as politically motivated. 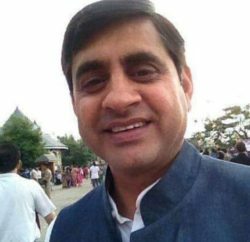 Thakur said that the HPCA was the only sports association that had performed in Himachal and due to its effort, Dharamshala Cricket stadium had come on the international cricket map. He accused present Congress led Govt for trying to implicate the HPCA to gain politically. 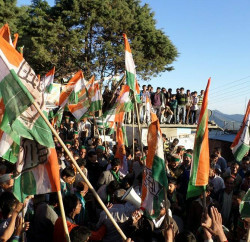 Anurag Thakur, who is also a national president of BJYM, said the HPCA was forced to construct its own hotel as the ICC inspection team had raised objection for organising international cricket matches in the Dharamsala stadium. He claimed that the ICC had put a condition for constructing a five-star hotel at Dharamsala for international cricket matches. The HPCA waited for 10 years from 2003 to 2013 for a private party to build a hotel. However, as none came forward, the HPCA constructed the hotel, he added. Thakur said that the HPCA is not scared of the Vigilance inquiry and would come out clean, he added.